Our two well signed, circular walks, approximately 2 and 5miles, both offer an excellent opportunity to spot birds, mammals, butterflies and a staggering number of plants and flowers. In fact, over 100 breeding bird species use the reserve including marsh harrier, bearded reedling, water rail, a variety of ducks, and, in some years, bittern. Little terns are summer visitors to the shore and the heathlands are home to woodlark, wheatear and hobby, so make sure to bring your binoculars and camera along with you. £4,571.21 is just amazing amount and will certainly be put to very good use in continuing the charities vital work in the community. Ali’s Cats are a band based in the East Coast region of East Anglia. Their repertoire ranges from swing, jazz classics and blues through to popular numbers released only in the last year or two. They love taking songs modern and ancient and giving them our twist -the Ali’s Cats touch. Their style is light, melodic, relaxing and smooth, perfect for when you return from your walk through the Benacre’s beautiful Natural Nature Reserve. The full Ali’s Cats 5-piece band will be playing at Strutt Your Mutt from around 12.00 to 3.00 pm. 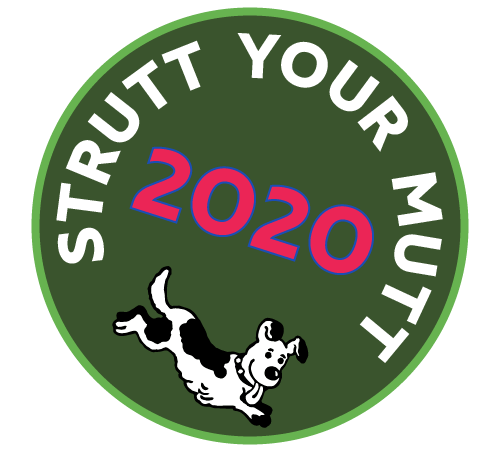 All the money raised from sales of Strutt Your Mutt merchandise and other branded items, will go towards helping children, and adults with a wide variety of disabilities to overcome specific challenges and enrich and improve lives.